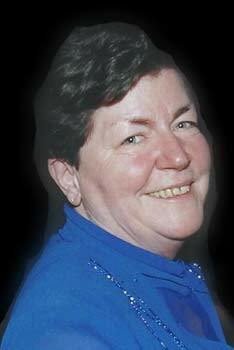 Mary L. Farrow, nee Lally, 70. Beloved wife of John Farrow. Loving mother of Lisa (Joseph) Gleason, John Farrow and Daniel Farrow. Proud grandmother of Ruth, Patricia and Edward. Cherished sister of Deirdre (Thomas) Lyons. Fond sister in law of Jackie Fischer, Sally (the late Jack) Heraty and the late Earl Farrow. Dear aunt of many nieces and nephews. Visitation Monday, September 17, 2018 from 3 until 8 PM at the M.J. Suerth Funeral Home, 6754 N. Northwest Highway, Chicago. Family and friends will meet Tuesday at 10:45 AM at Saint Margaret Mary Church, 2324 W. Chase, Chicago for Funeral Mass at 11:00 AM. Mary was a ‘Zoo Mom,’ therefore, in lieu of flowers memorials appreciated to Chicago Zoological Society Share the Care Program, 8400 31st Street, Brookfield, IL 60513. Cremation will be Private. For further information 877-631-1240 or www.suerth.com.